Want to try something new with your short hair? What about short bangs? This can give you a new look and allow you to be the center of attraction. Hairstylists say that adding bangs to your hair opens up a world of possibilities. Still, you must remember that bangs are extremely delicate and styling from the wrong person can go terribly wrong, ruining your whole look. Still, there is nothing to be afraid of. If you genuinely want to try it, take inspiration from celebs like Katy Perry. 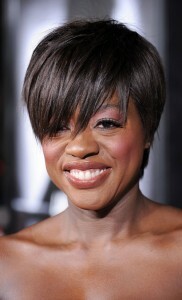 The short cut certainly has some spice which is set to boost your confidence.